Piroctone Olamine – protects against bacteria, relieves flaking and itching caused by dandruff and Seborrhoeic Dermatitis. Lauryl Betaine – mild but thorough cleansing agent. Cleanses the scalp without causing redness or irritation. 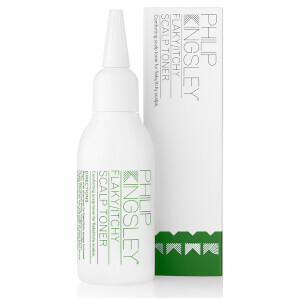 Philip Kingsley Moisture Balancing Conditioner 8.5 oz. This is a great product. I will repurchase it again and again. Please try it, it will help you. I have been using this shampoo for 4 weeks. I purchased it because of some materials I read stating that Philip Kingsley products were highly rated and researched. The scent of the shampoo is fresh, it foams nice for a natural product, and after the first 2 weeks of using this shampoo, I noticed an obvious reduction in flaking and itching. I am very satisfied with the shampoo and have just purchased a second bottle to keep for future use.